Another Google update is due to be launched shortly, and the big question many website owners will be asking is if, or how, their website will be affected. Predicting Google is never easy, especially when it comes to updates in the search algorithm, but there does seem to be a trend in the elements that Google has used to move some websites down the the rankings while improving the position of others. Insufficient on-page content or content duplicated across a number of domains. Poor page speed scores on the Google Page Speed Insights Tool. Over-optimisation of page titles and descriptions. Blogs that are on sub-domains and not on the main root domain. Few social media signals into the site. Excessive use of keyword text rich navigation and content. Excessive internal links (more than 150 on a page) and/or the excessive use of footer links both internally and between owned sites. If you find that your site falling down the rankings on Google over the coming months, the areas above would be a good place to start analysing and improving. Google Adwords are rolling out a new interface that will integrate all mobile and tablet advertising within existing campaigns. There are other changes and features, some that are receiving mixed reviews, but all Adwords campaigns will be automatically switched in June anyway. One new, and free feature is a method of tracing phone calls from Google adverts. They do this by adding a Google telephone number to the advert which rings straight through to the advertiser but is logged in the Adwords campaign data. It’s a good way of assessing the number of calls that result from Google advertising rather than other sources. There are other changes, most notably to the Sitelink setup and mobile keyword bidding. So get ahead of the game by switching over now. It only takes a few minutes and will ensure that if you need help you won’t be part of next month’s rush. Afumex are based in Eastleigh in Hampshire and produce a range of low smoke cables for the construction industry. Low smoke cables have a sheath which, in the event of a fire, will only emit very low levels of smoke and non-toxic levels of poisonous gases. 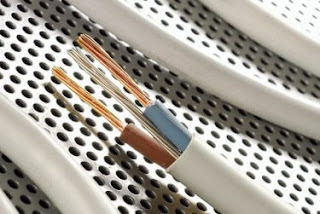 This is very different from standard PVC cables which produce hydrogen chloride gas. If this gas comes into contact with skin or eyes it can cause extreme irritation, and if inhaled, severe choking. Also, in a fire PVC cables give off a dense black smoke that can obscure emergency exit signs and escape routes out of buildings. The majority of fatalities in a building fire occur through gas and smoke inhalation rather than directly from the fire itself. This is why low smoke zero halogen cable is such an important part of fire safety. Afumex Cables are all ‘LSOH’ or ‘Low Smoke Zero Halogen’ rated and have been used in some of the best known buildings in the country, such as Old Trafford Crick Ground, as well as schools and public buildings. Founded in January 2006, TLM-Laser Ltd are a laser service company, providing sales, service and maintenanceof industrial lasers. Lasers have been around for a long time – anyone of a certain age will remember James Bond narrowly escaping being lasered in half by the evil Goldfinger. 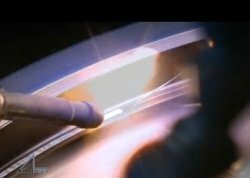 But lasers have come a long way since then, and are now used in a range of tasks in industry including: Laser Cutting, Laser Marking and Laser Welding. Of all these the most interesting is probably laser marking and engraving. 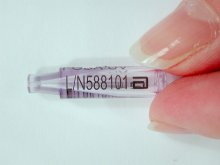 This involves using lasers to engrave or mark an object, but it’s the variety, speed, accuracy and the permanence of laser marking that makes it very interesting for industry. Lasers can be used to mark medical supplies, tools, metal components, aircraft parts and packaging as well as semiconductor materials found in radios, computers, telephones, and many other electronic devices. 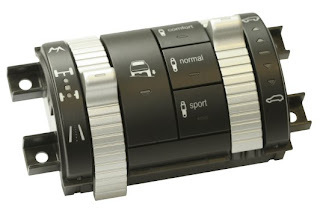 In the motor industry lasers are marking everything from ball bearings to crankshafts, dashboard buttons to chassis numbers and engines. TLM-Laser supply a wide range of laser marking, cutting and welding machines as well as safety equipment, spare parts and fume extraction systems. They also provide laser safety training, consultancy and sub-contract laser marking. With offices in Ryde and Bromsgrove TLM operate throughout the UK. If you live anywhere near the Solent you are sure to have seen Rigid Inflatable Boats, or RIBs as they are commonly known, cruising or blasting around. Ribs are fast, fun and safe boats – ideal for following fast yacht races, exploring Solent creeks and harbours or visiting famous landmarks, like the Needles on the western tip of the Isle of Wight. If you are providing entertainment for a large group of people or you want a different and unique corporate event a rib charter needs to be high on your list, and Solent Rib Charter are the company to provide it. As well as owning Europe’s largest fleet of Ribs they also run more Rib events than all of their competitors combined both on the Solent and in London on the River Thames. 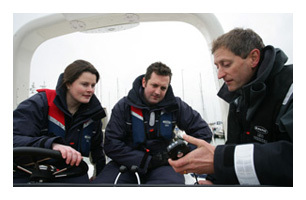 Although catering to many companies a lot of business also comes from smaller Rib charter and Rib hire bookings. Stag and hen parties regularly charter ribs for exploring, sightseeing, adrenalin blasts or waterbourne treasure hunts. There are many great venues around the Solent that are easily accessible from the sea. Does your Website Work on Mobile Phones? Last month, Google held a “From Why to How” mobile webinar and announced that mobile optimisation will be factored into Adwords’ quality score for mobile ad campaigns. So the policy makers at Google clearly think that website optimisation for mobile devices is important – and probably not just for Adwords. With mobile phones being so widely used to access the web, it’s reaching a point where a website that performs poorly on a mobile phone may harm your business rather than enhance it. 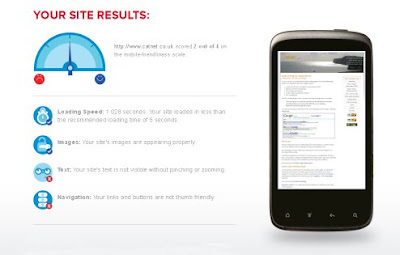 So, how mobile compatible is your website? If you have a smart phone you can check it at any time and make your own evaluation. But for a more formal assessment you can make use of a interesting new site at HowToGoMo.com. A feature on the GoMo site called the GoMoMeter analyses your website and provides recommendations for mobile optimisation as a downloadable report, as well as resources such as best practices for mobile sites. There is even a section for finding a mobile web developer but these are all in the USA . . .
Video Essential for Top Rankings? It’s official. G oogle’s admits tinkering with it’s search algorithm and as usual there are a some winners and losers. This time, it appears that video content could be a factor in why sites gained or lost rankings. Sites with video content seem to have improved their positions while those without have suffered. In Frank Watson’s blog posting on October 3, he examines the details, which also suggests that Google+1 is also a factor, even though it’s not making much of an impression on Facebook or other Social media sites. To this add what appears to be favouritism towards bigger corporations, especially if they are associated with Google, and it’s not hard to see the direction Google is heading. For the small businesses my advice is to ensure you have a presence on YouTube with good links to your website, and keep a close eye on Google+1 as it may soon be essential to join if you want a good ranking . . . This image is a QR Code. These are starting to appear on websites and print adverts and are set to become the hottest trend in web marketing. These bar codes enable your customer to link their mobile smartphone with your website very quickly. (To track the usage of the bar code, simply add a referral code on the url that it embeds.) This approach may require integrating print advertising with the web but it is not expensive to implement and will give you greater opportunities to trade. Tip: Place a banner with your QR bar code on your website homepage. If a customer sees it and wants to bookmark your site, this will make it easier for them. The QR bar code can help to integrate your website with mobiles, for example your customers could click to download any kind of media such as a map or telephone number. Alternatively it can be printed on a business card, or exhibition display giving contacts easy access to your details from their mobile. To find a site where you generate your own QR barcode for free, put “generate QR bar code” into your favourite search engine. Smartphone users can download a QR bar code reader from their apps store. Once you have set up your AdWords campaign the next step is to maintain and refine it. Checking the campaign performance is essential to getting value for money from your clicks.